This was a big week in microgrid financing with three company announcements. First, UGE International secured a $1.83 million (12 million RMB) loan from the Bank of China. UGE will use the money in part to fulfill payment of the cash portion of the UGE’s proposed acquisition of large-scale solar energy system provider Endura Energy Project. The loan will also be used for general working capital purposes, and repayment of a loan. It has a three-year term, with annual renewals, and carries an annual interest rate of 5.22 percent. Second, Princeton Power Systems announced a capital investment from longtime supporter GHO Ventures. Princeton will use the funding to develop new and improved products as well as expand the company’s sales capabilities. In addition, Princeton has transitioned its management by naming co-founder and former chief strategy officer, Darren Hammell, president. Former director of supply chain, Ed Howell, chief operating officer of the company. GHO Ventures has a sustained investment in Princeton over the past 15 years, including an “angel investment” round when Princeton was founded in 2001. Schneider Electric and EverCharge will collaborate to accelerate the build-out of EV charging infrastructure in multi-unit buildings, such as apartments, condominiums and office buildings. One of the challenges of adding EV charging stations to multi-tenant facilities is sharing a finite amount of power when multiple vehicles need to charge at the same time. EverCharge’s SmartPower technology manages charging to get the maximum benefit from a complex’s existing power capacity. The company says that its system can increase charging capacity up to 10 times through proprietary power management technology. Under the new collaboration, EverCharge will integrate Schneider Electric’s EVlink Home EV Charger with its SmartPower system. 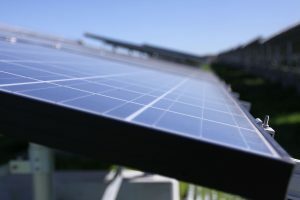 Distributed Energy Resources (DERs) – solar, energy storage, energy efficiency, electric vehicles – are quickly finding their way onto the electric grid. But states and utilities are slow to figure out how to value them in resource planning. It’s likely that DERs will be compensated based on locational factors by 2020 – at least that’s what seven out of 10 regulators told GTM in a study. California and New York are out front in creating the necessary formulas and data infrastructures for proper valuation. Other states, such as Minnesota and Washington, are considering similar but more limited efforts. As we’ve reported, grid hackers, both foreign and domestic, are hard at work trying to take down the US electric system. The US Department of Energy is looking for new ideas, offering $23 million for proposals to stop hackers from disrupting energy infrastructure. The cybersecurity solicitation is part of the DOE’s ongoing grid modernization effort. The DOE seeks cybersecurity proposals in five categories, including one that addresses renewables and energy efficiency on the grid. Specifically, the category seeks ways to strengthen cybersecurity when integrating such resources as solar, wind, energy storage systems, building control systems or plug-in hybrid vehicles. Proposals are due March 22, 2016. The solicitation documents are available FedConnect. Look for reference number DE-FOA-0001441. In transit news, Constellation has awarded a contract to ABB for one of the first battery energy storage systems to be commercially deployed in a transit operation. The storage will be used by the Southeastern Pennsylvania Transportation Authority (SEPTA) to capture energy from train brakes. The energy will then be sold into the PJM Interconnection’s frequency regulation market. The lithium-ion batteries, provided by Saft America, will provide 8.75 MW of frequency regulation to the grid operator. In all, ABB will engineer, manufacture and commission seven of what it calls its ENVILINETM Energy Storage Systems for Constellation, a subsidiary of Exelon. Constellation will contract with SEPTA under a 20-year battery services agreement – somewhat like the power purchase agreements used for solar energy. As a result, SEPTA makes no upfront capital investment. The contract brings ABB’s installed base of commercially operating ENVILINE ESS train braking energy recovery systems to 15MW, the largest of any supplier. Here’s a video that explains train energy recovery. In other energy storage news, UniEnergy Technologies (UET), a flow battery company, says that its ReFlex energy storage system is now commercially available. Last year, UET deployed the largest containerized flow battery now in operation in the world, as verified by the US DOE Office of Electricity Global Energy Storage Database. The ReFlex system provides energy savings, power stability, and resiliency for commercial and industrial, microgrid, and utility customers. It is particularly suited for buildings, campuses and distribution circuits. Each ReFlex is rated at 100kWAC, with up to a five hour duration. The batteries are enclosed in a standard twenty foot container. 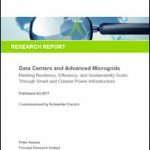 Track more news on microgrid financing and energy storage on twitter @MicrogridNews.